Video marketing is the advertising trend of the future. Video is the best way for you to bring out the best display of your business and get widespread exposure. Here we shall have a look at few tips that will help you improve your video marketing strategy, be it for your personal brand or your business. Telling a story should be your first priority when deciding your video marketing strategy. 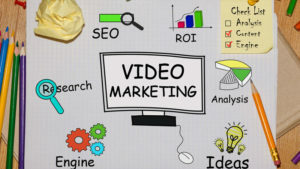 A video that tells a story that connects with the viewers will give your brand a very good boost in the marketing field. 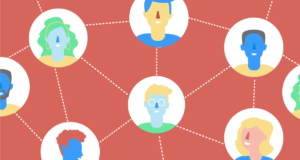 There are several added benefits, people recognize and connect with your brand and thus prefer it over the competition. When a video is liked by the audience, they share it with their loved ones, thus more reach to your brand. The quality of the movie must be also maintained to make sure that the audience don’t get a bad image of your brand. Tell a story with your video and connect with them instantly. It is important to have a good idea of the potential customers of your business so as to make your campaign catering to their requirements. 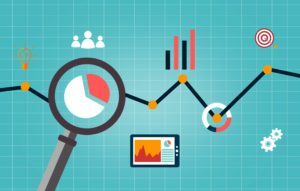 In this age it is very easy to get information on the choices of people, data analytics is better than ever. When you are creating the content, it is also to be kept in mind the details regarding the devices that the content will be viewed on. If your customer base is largely mobile phone users only and the content will be viewed on mobile, then create the content accordingly. This factor is very important if your videos consist of live streaming or vlogs of events. When concentrating on the video part, chances are that the sound quality often gets overlooked. This cannot be rectified in the post processing, unlike the video which can be made better in a huge way in the processing. Thus, make sure that you are having quality sound recording equipment, it is not necessary that you purchase the costliest equipment out there, but what is required is that you maintain a good quality of the sound. Having an in-house video production is feasible if you have several video creation requirements and several events that are to be video graphed. If you only require the occasional video campaign, then it is better to outsource your video marketing needs to a reputed media agency. This provides you the benefits of cost as you don’t have to purchase and upgrade your equipment and have a team, when you can easily hire the best talents for your short-term requirements. This is also the best option if you have overseas projects or large event shoots. Video is the best marketing tool. Several studies have been done to prove that spending on video marketing provides the best returns on your investments as compared to all the other advertising strategies. These were a few reminders on how you can brand your videos and improve your advertising game making use of the power of video marketing. In this age of social media, videos are the best way to get your message out there among the audience. Don’t ignore the possibilities of your video getting viral. Then you have a very large customer base for the one-time investment on your video. Another added benefit of video marketing is that you can have better insights to improve your strategy based on the likes of people to a certain type of videos. Start branding your videos now, and up your advertising game.